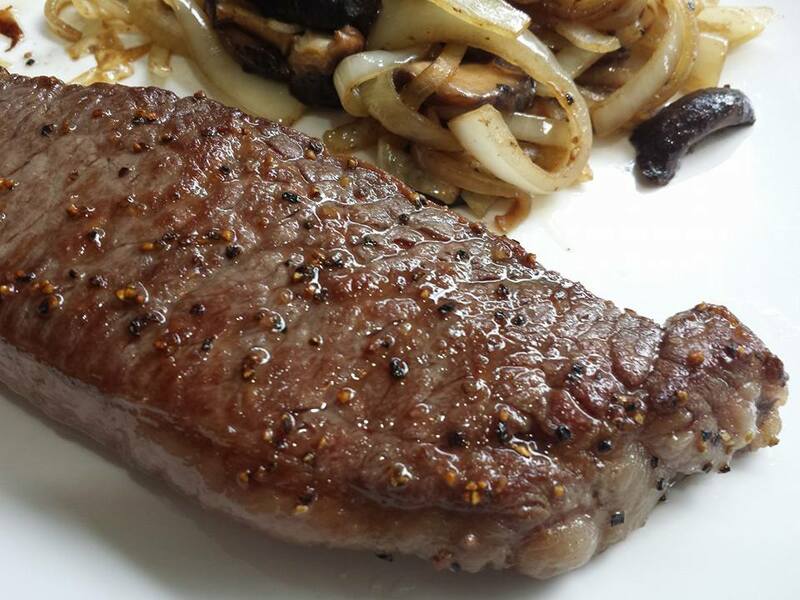 mmmm was having offer on grain-fed ribeye at S$29.90/kg. 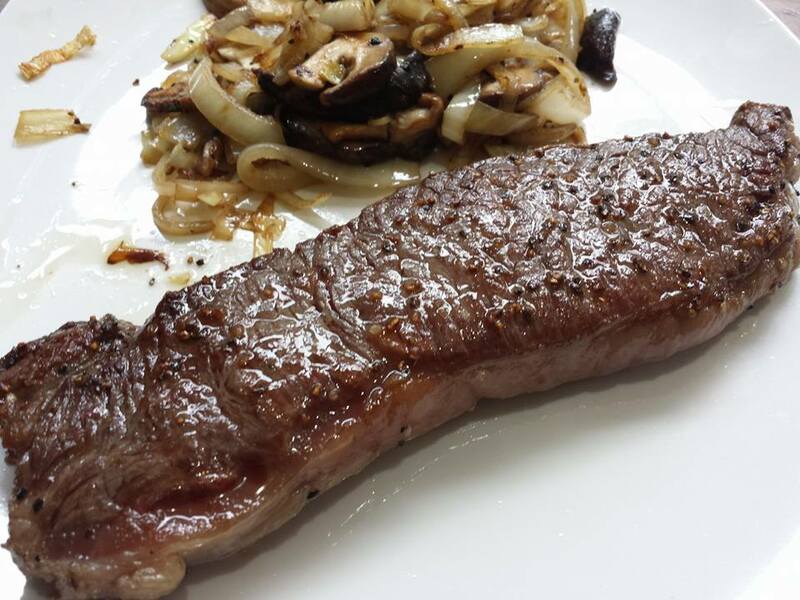 i bought some earlier & did 1 of my best pan-grilled ribeye steak, tagliata di manzo for RI buddies 10pax dinner on 24.3.2014.
i needed S$50 to get free parking at west coast plaza so i need not rush & try to get to the car before 10mins grace was up, so i picked up a 220g piece of wagyu MBS 6/7 to make the goal past S$50. 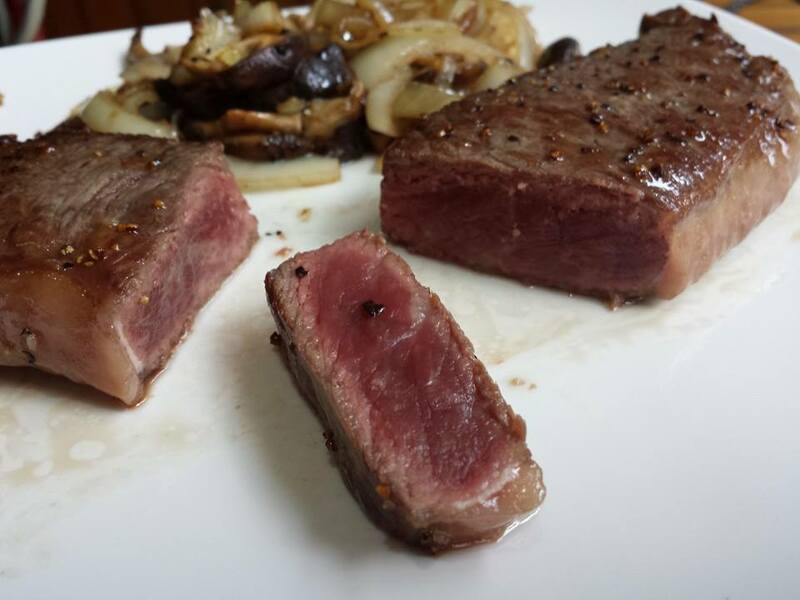 decided to cook the wagyu steak in the evening. for the side i used what was in the fridge – a leftover 1/2 yellow onion, & 1/3 of an open packet of shitake mushrooms (about 50g to 60g) in the chiller. my wife’s friend bought me a torch some weeks back when they came for dinner. i have not tried it out yet. will probably do on some of the grain-fed ribeye later, and experiment on the japanese aburi (烧) & torch recipes. 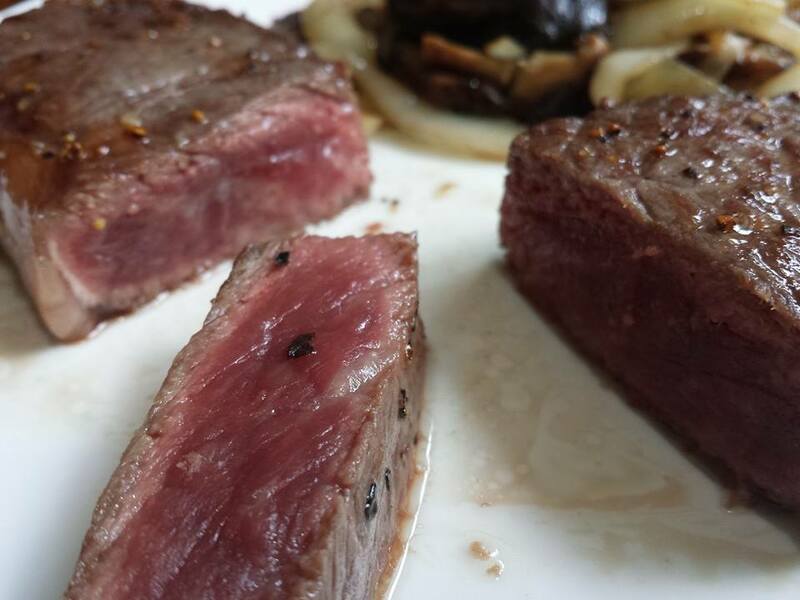 This entry was posted in Recipes and tagged aburi, Gordon Ramsay, Heston Blumenthal, maillard reaction, MBS 6/7, mmmm, shitake, tagliata di manzo, torch, wagyu. Bookmark the permalink.